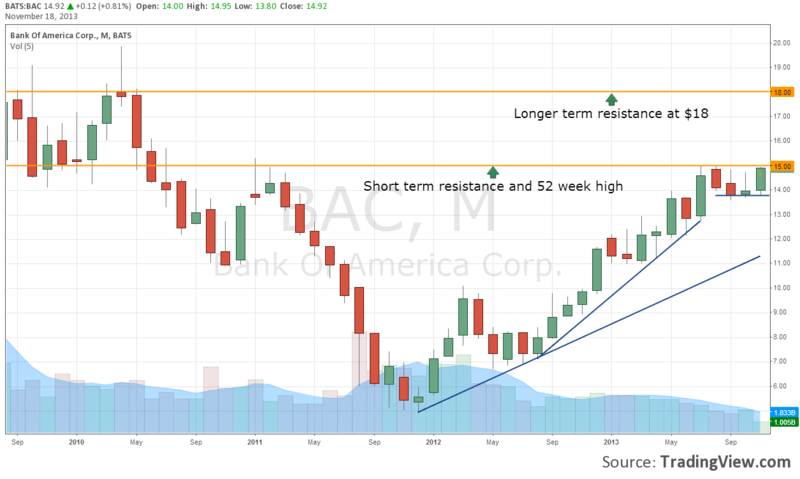 After trending down for the past 2 1/2 months shares of Bank of America (BAC) have picked up some momentum, broke their downtrend, and are within 1% of their 52 week high. 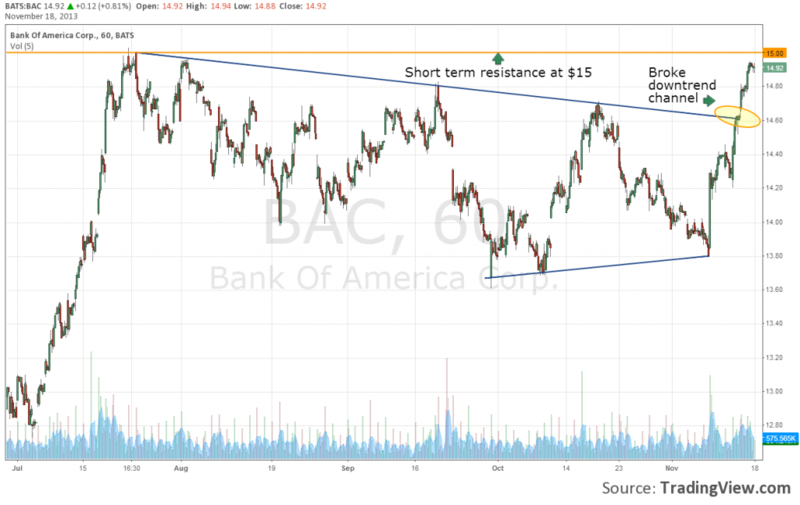 BAC could make a run at $15 today, and should meet some resistance at that price. Given the recent strength of BAC, a move north of this level seems likely from a technical perspective. To get an idea of where shares could be headed from there we can check out a long term chart of Bank of America and see that there is not significant resistance until shares reach $18, which would represent a 20% upside from current levels. Should Bank of America fail to cross $15 and remain above that price in the short term, look for them to trend back down towards $13.75 before finding support. Their price action this week should be monitored very closely if you have a position in BAC or are currently considering entering one as it nears this key technical level.